My favorite dresses from the 2013 Academy Awards. Ginger Rogers wearing a beautiful gown with pleats along the bottom half of the gown. 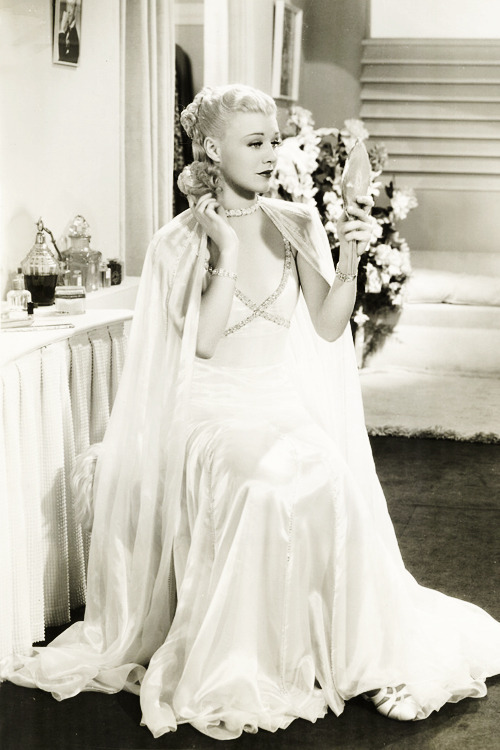 Actress Claire Dodd, circa the 1930’s, wearing a long fur coat and a white dress. Grace Kelly wore beautiful fashion in the 1956 film High Society. My favorite dress in the film was this Grecian-style silk crepe gown designed by Helen Rose. Kelly wore this gown over a matching swimsuit during the swimming pool scene. Learn more about Grace Kelly here.